Under grey and cloud-filled skies, the first qualifying session for the 53rd Macau Grand Prix got underway a bit late. 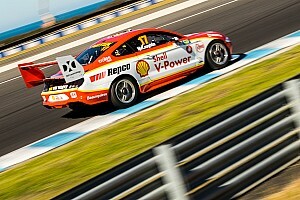 The WTCC practice session had been stopped more than once, and it was to be hoped it didn't bode badly for the F3 boys. They've been known to be a bit wild round here on occasions, and there was no real reason to assume today would be any different. Yesterday's photo opportunity session had to be cancelled as the rain refused to abate. As it turned out it was maybe just as well. The event was a drawing competition and rumour had it that the bikers were planning to use portions of their anatomy other than those generally approved for the purpose. Maybe it was a lucky escape. However, the big fear was that the rain would persist over the weekend, and no one wanted that. 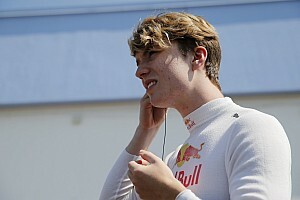 Someone who was not looking at all wild was Oliver Jarvis (Carlin Motorsport), the British F3 International Series rookie of the year having come down with food poisoning, possibly as a result of his stay in Beijing with the A1GP circus last weekend. He hadn't managed to keep any food down all day on Wednesday, which wasn't the best preparation for 45 minutes round this demanding street circuit. First out of the gate was James Winslow (Zap Speed), the Asian F3 champion going for a time early on. Meanwhile, Richard Antinucci (ASM Formule 3) provided the first off of the session though he was able to rejoin pretty promptly. He'd done much the same thing in the morning's untimed session, though at least he'd waited till towards the end that time. Still, the American was unscathed. As the first flying lap of the session came to its conclusion, Winslow was fastest, though needless to say he was highly unlikely to stay there. It didn't take long before he was demoted, in the first instance by Daisuke Ikeda (EMS Racing) and then, more realistically, by Mike Conway (Robertson Raikkonen Racing) and his team-mate Stephen Jelley, who went to pole and 3rd. In a fit of improbability, Rodolfo Avila (Performance Racing) was 11th, in his first run in an A-class car. 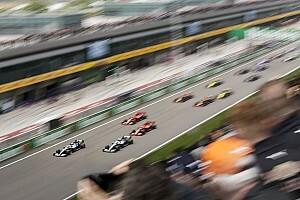 Less unlikely were Adrian Sutil (TOM's) and Marko Asmer (Hitech Racing) were soon up to 2nd and 3rd. They got demoted by Maro Engel (Carlin Motorsport), who was followed over the line by Kazuki Nakajima (Manor Motorsport) for 4th. Meanwhile, Kohei Hirate (Manor Motorsport) was able to improve on Conway's time as the tyres started to warm up and the whole grid-full (all 32 of them) started trading times. 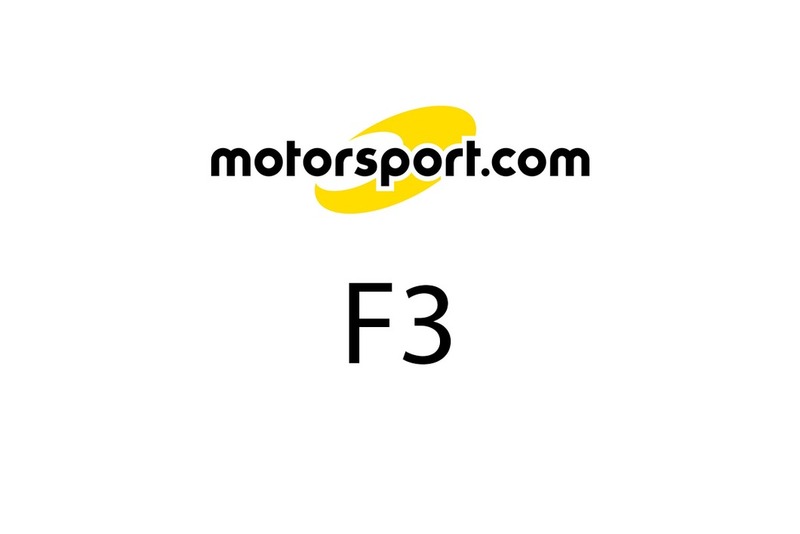 Kamui Kobayashi (ASM Formule 3) was another driver showing well, now running 2nd, just ahead of Fabio Carbone (Three Bond Racing), the Brazilian F3 veteran doing just as little as was absolutely necessary to set a fast time. He was 3rd, and looked as if he had more in reserve if it was needed. Kazuya Oshima (TOM's) next claimed 4th, but all the while Romain Grosjean was looking increasingly menacing, the Signature Plus driver always a threat on these demanding circuits. At the end of the next flying lap, the baby-faced EuroSeries runner was 2nd and it was all happening behind him. Sebastien Buemi (Carlin Motorsport) and Charlie Kimball (Signature Plus) both moved into the top 6th, while Asmer was now 2nd ahead of Sutil. EuroSeries champion Paul di Resta (ASM) seemed to be driving a particularly evil-handling beast of a Dallara, but as he was 4th, perhaps he likes cars that behave like that. It seemed to have its own permanent vibration, and it wasn't that surprising that he wasn't able to hold the place for long. He lost ground when Kobayashi jumped up the order to pole, while Kimball was showing an impressive turn of speed to claim provisional 4th. A further reshuffle saw Grosjean slot back into 2nd ahead of Hirate, while Conway was next to improve, pushing Kimball out for 4th. Macau rookie Jarvis was the next major improvement, but was only able to manage 12th, while di Resta reclaimed 2nd and Hirate snatched pole. Kobayashi wasn't taking that lying down and slotted between them, moving di Resta back down a place. While the tyres lasted, Carbone was still pressing on, and was soon 5th, while Grosjean moved di Resta out of 3rd. Meanwhile, Antinucci skittered into the pits for a general check of brakes and associated bits. He was quickly dispatched back out onto the track, wanting to make the most of the half hour that remained. While the American was rejoining, Conway was still proving the strongest of the British series runners, and had edged ahead of Grosjean for 3rd. 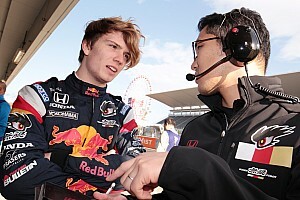 With a third of the session elapsed, the top ten was Hirate, from Kobayashi, Grosjean who'd answered the challenge of Conway, Conway, Roberto Streit (Prema Powerteam), Kimball, di Resta, Carbone, Buemi and Oshima. However, it was a very long way from over. Asmer was still on the move, claiming 5th place, but then the problems started. The first yellow flags of the session were caused by Jarvis, who had gone out at Dona Maria, the suspension on the rear of his Carlin car badly mangled. That meant that the next few laps would be slower or the Clerk of the Course would want to know why. With his usual spooky timing, Carbone had just moved up to 7th as the incident happened. 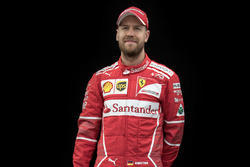 Meanwhile, the contest for fastest German was on hold too, though you could be forgiven for wondering why, if Sebastian Vettel (Carlin Motorsport) really is that good - and it seems he is - Engel was ahead of him. 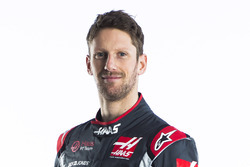 Once Jarvis was cleared away Grosjean grabbed pole, and Carbone was able to find some speed to move up the order by two places. There was very little happening elsewhere though, and with 15 minutes left there were more yellows in Sector 2. It was a while before we found out why. Roldan Rodriguez (Hitech Racing) had gone off in much the same place as Jarvis but had taken rather more corners off than the Englishman. However, they cleared him away very quickly, and the green flags were announced just as Hirate went onto pole. It seemed likely he might be in trouble later. He didn't get to keep pole for long though; Asmer was round in a flash, and into the 2 minute 13s to look very secure. He looked even more secure when Kimball, pushing hard, had a massive off at Fishermen's Bend, tearing the car apart and bringing out the red flags. The personable American climbed out unhurt, and even stayed to help clear up the wreckage. Of course he could just have been delaying the moment when he would have to face the team. who won't be getting away early tonight. At this stage, with a little over 8 minutes still to run, the order was Asmer, from Hirate, Grosjean, Kobayashi, Carbone, Conway, Streit, Kimball, Antinucci and di Resta. It might change, but it seemed unlikely, and as di Resta had now picked up a puncture he was pretty much out of the picture as a result. 11th was Kodai Tsukakishi (Prema Powerteam) from Engel, Buemi, Nakajima, Oshima, Sutil, Vettel, Jarvis, James Jakes (Manor Motorsport) and Jelley. 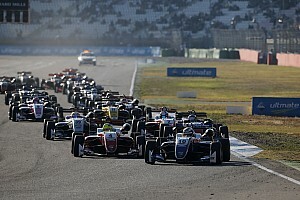 Ikeda was 21st, while Yelmer Buurman (Fortec Motorsport), Jonathan Kennard (Alan Docking Racing), Mauro Massironi (Ombra Racing), Rodriguez, Michael Ho (Ombra Racing), Maximo Cortes (Hitech Racing), Avila and Winslow filled the next 9 places. Local heroes Cheong Lou Meng (Alan Docking Racing), Lei Kit Meng (Swiss Racing Team) and Jo Merszei (Swiss Racing Team) were bringing up the rear. At the restart the officials saw fit to warn of a slippery surface at Fishermen's Bend. It was a warning that came too late for Sutil, the Champion of Japanese F3 coming a cropper there in much the same way that Kimball had, though perhaps with slightly less of a wide area of wreckage afterwards. He stayed in the car until the track emptied, perhaps feeling it was safer there, and eventually jumped out unaided. He appeared to be unhurt, which was fortunate considering the violence of the accident. There were now less than three minutes of track time remaining, so the officials very sensibly decided there would be no restart. Even if there had been there would not have been enough time to get more than a single flying in. We'll all just have to wait and see what Friday's session will bring.